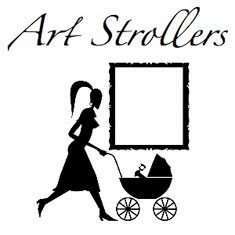 Art Strollers offers a variety of art-related tours and activities for parents and children in Toronto. From guided museum tours, free art and gallery walks, hands-on art workshops in partnership with My Art Lab to group photosessions with photographer Andrew Taylor. Events happen weekly and are set in a relaxed, creative and welcoming atmosphere. For event registration, to browse our Creative Findings section online to find out all things creative and get a chance to win the book of the month in the Simon & Schuster bookclub.